It’s just like Yogi Berra said. 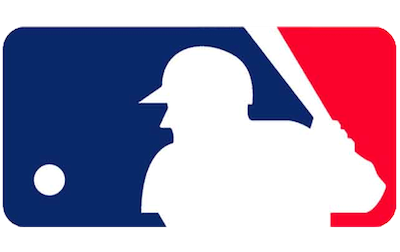 “A home opener is always exciting whether it's home or on the road," and Major League Baseball opened its 2015 season this week with the cry of 'play ball' accompanied by the release of the 23rd annual Sports Fan Loyalty Index. For some teams this season starts with high levels of emotional engagement and fan loyalty. For others, well, they found themselves in the cellar just as the season started. But fortunately, the Sports Fan Loyalty Index was designed to help professional sports team management identify precise fan loyalty rankings in their home and national markets with metrics that correlate very, very, very highly with viewership and purchase of licensed merchandise. Like batting. 800. Interviews with 250 self-declared fans in each team’s local catchment area provided more than just attendance numbers – they enable league and team management to identify areas, particularly emotional ones that need strategic brand coaching. The Sports Fan Loyalty Index, which measures all the teams in the MLB, NBA, NHL, and NFL provides apples-to-apples comparisons of the emotional intensity with which fans within a team's local area support the home team versus corresponding values for fans of other teams in that market. OK, let’s get one particular perpetual area of contention out of the way right away. Pure Entertainment: How well a team does, sure. But even more importantly than a win-loss ratio, how exciting is their play? Think St. Louis Cardinals or the Pittsburgh Pirates (#13, up from #23 last year). Authenticity: How well they play as a team. Offensively or Defensively. How consistent they are. A new stadium can help lift this driver, but more usually, a new manager. Look at the Detroit Tigers. Fan Bonding: Are players particularly respected and admired? Not every team has a Derek Jeter, but there are players like Buster Posy of the Giants or the Dodger’s Clayton Kershaw. History and Tradition: Is the game and the team part of fans' and community rituals, institutions, and beliefs? No matter how you feel personally, the Yankees (#7, down from #6 last year) have the highest rating when it comes to History and Tradition and, for what it’s worth, It’s what keeps the Cubs (#16) loyalty levels going! Again, because overall league and team rankings correlate so highly with viewership and merchandise sales, and since rankings can be influenced depending upon how loyalty drivers are managed, it's critical that team marketers do accurate scouting regarding the strategic ball they intend to pitch to fans. Bobble heads and foam fingers only go so far. All teams can benefit from increased fan loyalty levels, but as baseball is traditionally called America's “National Pastime,” there’s a real emotional connection for the fans. It’s worth remembering baseball is the only place in life where a sacrifice is really appreciated and teams can build on successes and put failures behind them. For you other fans, we’ll be issuing the rankings for the NBA just before playoffs, the NHL for the Stanley Cup, and NFL rankings in time for their kickoff in September. In the meantime, Go (YOUR TEAM GOES HERE)!